Amazon Canada has announced 13 new cities and towns across the country now have Prime free one-day delivery. Qualifying orders over $25 placed prior to cut-off times will see their deliveries arrive by 9PM local time the next day—even on Saturday and Sunday. Eligible items will have a “Prime FREE one day” icon next to them. “Prime represents the best of Amazon in convenience, selection and price and our ultimate goal is to continue to bring the benefits of Prime to as many Canadian customers as possible,” said Mike Strauch, Country Manager for Amazon Canada, in a statement. Amazon says Prime members in Victoria “can select from more than half a million eligible items available” as part of this new one-day delivery addition. 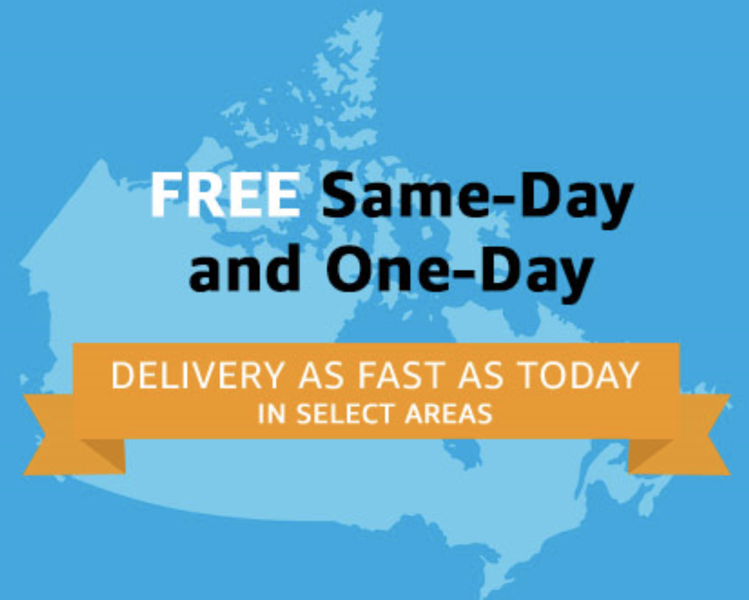 With this latest addition of 13 new cities and towns for free one-day Prime delivery, Amazon now has 19 total locations across Canada eligible for the faster shipping speed. The other cities are Vancouver, Calgary, Edmonton, Toronto, Montreal and Ottawa. Click here to shop Amazon Canada’s Valentine’s Day deals.